Poring over reels of microfilm at the New York Pubic Library occasionally reveals unexpected treasure. 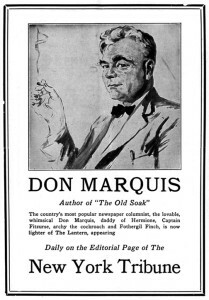 A case in point is the following bit of light verse from Don Marquis’s “Notes and Comment” column in The (New York) Evening Sun — a forerunner to his famous Sun Dial column — on Sept. 24, 1912. 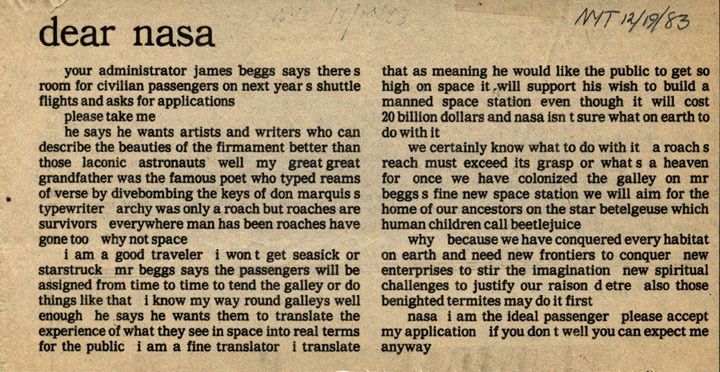 The verse is unsigned but the words are unmistakably Don’s. Proof of his authorship can be found in an earlier version of the poem that appeared in the Atlanta Journal on Jan. 28, 1904, in a newspaper column, Rings From the Shop Pipe, written by a young editorial writer on the staff, Don Marquis. Fast-forward to 2019, and the verse seems appropriate somehow on Valentine’s Day. 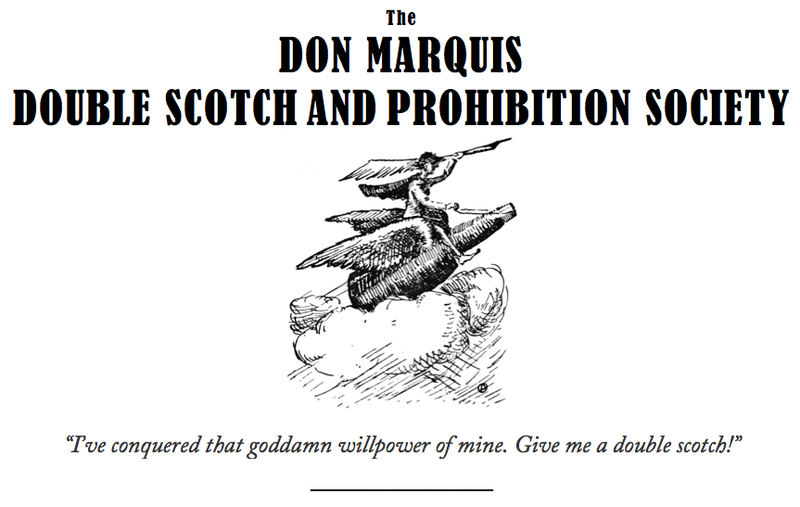 Members of the Don Marquis Double Scotch and Prohibition Society (that means you) are urged to gather on Wednesday, December 5, 2018, to celebrate the 85th anniversary of the repeal of Prohibition! 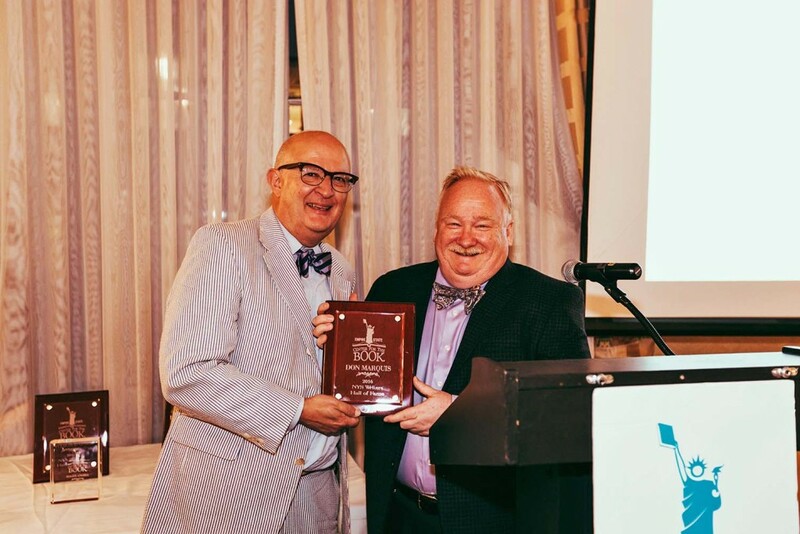 If you are in New York City, please meet at the bar of the venerable Keens Steakhouse, 72 West 36th Street (between Fifth and Sixth avenues) starting at 5:30 p.m. and continuing until we complete the prescribed toasts. We will order appetizers, and whoever can stay for dinner (individual checks) will be grateful they did — the mutton chops are out of this world. Trinkets to mark the occasion will be provided. 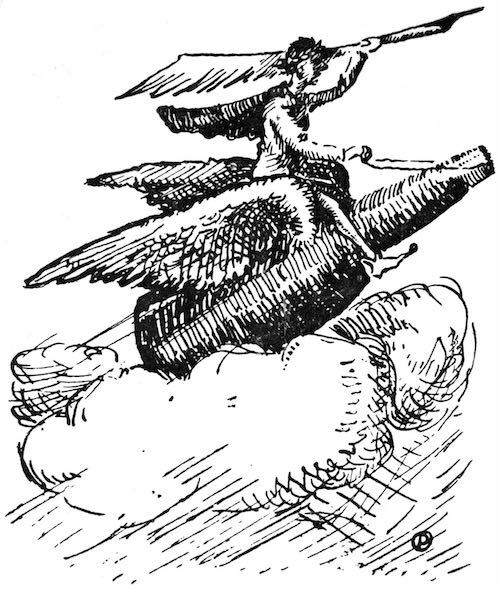 Remember, Repeal Day is one of the Society’s three High Holy Days — the others being Don’s birthday (July 29) and the anniversary of the first appearance of Archy (March 29). Please join us! For more on the Society, go here. More questions? 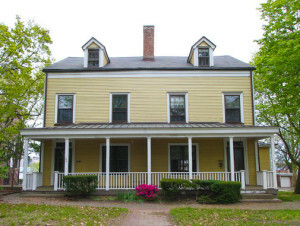 Email johnbatt (at) me.com. Here’s the story of how Archy came to life — and his original name, Erasmus! 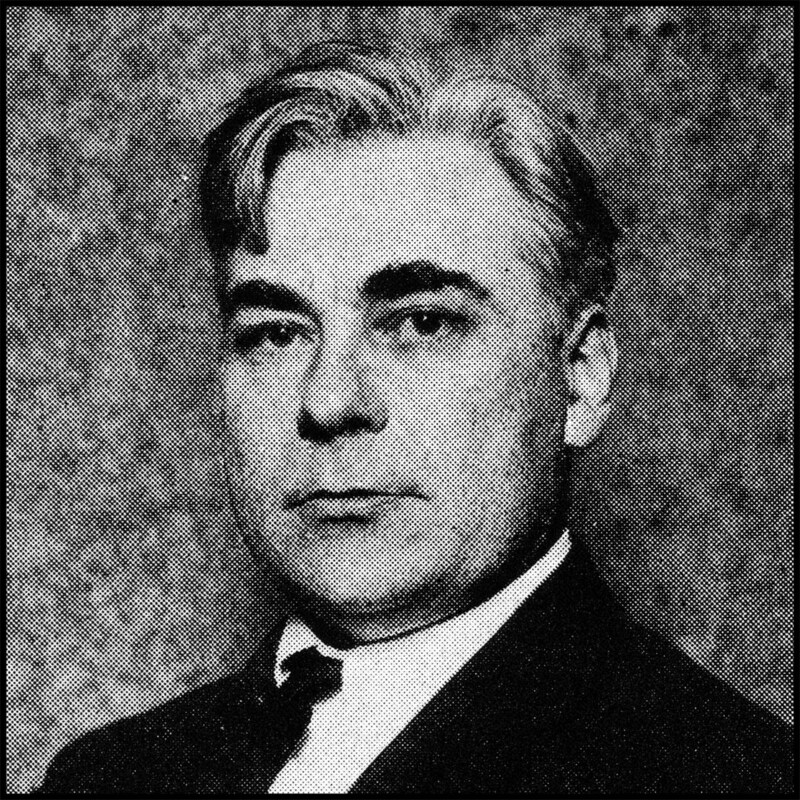 Archy’s birthday is a High Holy Day of the Don Marquis Double Scotch and Prohibition Society. Do your duty and toast America’s most beloved cockroach in whatever manner suits you best. 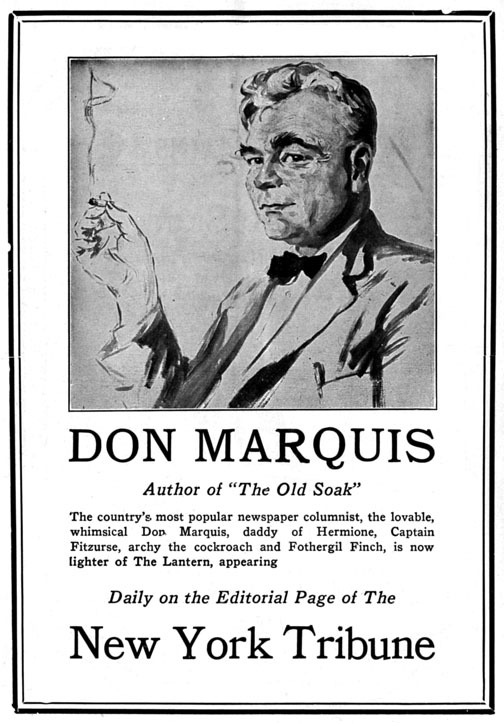 From the very beginning, Don Marquis used his newspaper column to poke fun at the rich and powerful, and proof of that claim can be found in The Evening Sun of April 12, 1913. 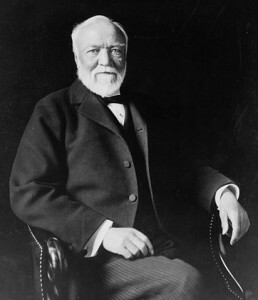 Don’s Sun Dial column on that day wasn’t even a week old (it had debuted on April 7) when he aimed his wit at one of the richest and most powerful men in the world: Andrew Carnegie. 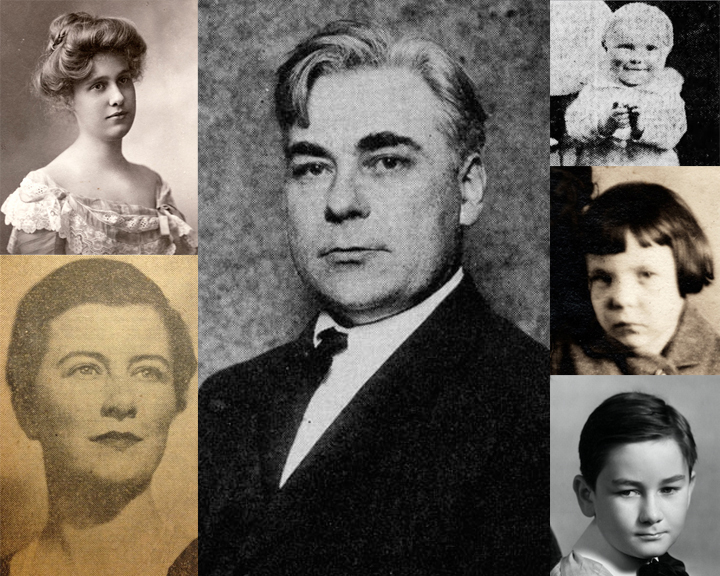 The famed industrialist, founder of the largest iron and steel operations ever owned by an individual in the United States, was, by 1913, giving away hundreds of millions of dollars in a well-publicized rush of philanthropy. Carnegie enjoyed telling stories of his humble childhood in his native Scotland, and of the hard work and determination that brought such wealth to him and, by extension, his adopted home town, Pittsburgh — a city where the smokestacks from Carnegie’s factories turned the noonday sky dark with soot. We are afraid we can’t promise our assistance in getting anything in the news end of a paper for Mr. Carnegie, although we hate to discourage a worthy young man who is trying to better himself. The dull season is coming along pretty soon, anyhow. But if Mr. Carnegie will drop in to see us any afternoon from 3 to 5, with a letter from his pastor, we will outline to him an arrangement we have in mind whereby he can write short pieces for this column now and then. Let him wear a carnation in his coat lapel and look about him for an average looking sort of a person with an ordinary necktie in plain clothes, and we will know each other at once. And look at the d—d thing now! 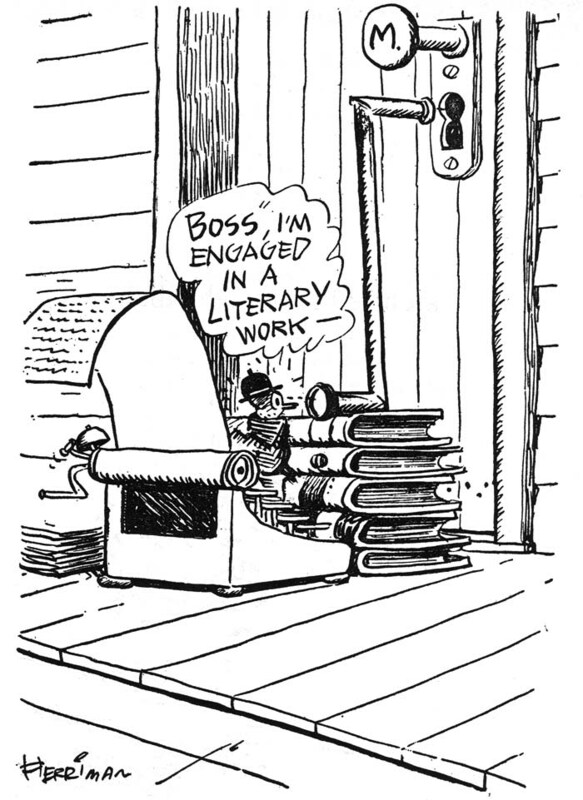 It will be a rather arduous apprenticeship, and for a while Mr. Carnegie will have to submit to having his best things published over our signature, but if he works hard (crushing, among other things, the slight tendency to profanity which mars the above quatrain), we will give him a start. After that, it’s up to him.